Dallas leaders dream of Dallas Executive Airport becoming a busy place for small planes like Addison Airport with restaurants, offices and hotels all around it. But one Councilman says a no-bid plan to get business started at DEA is a bad deal for taxpayers. “It’s an amazing opportunity for the growth of general aviation in North Texas and it’s a great opportunity for growth for the southern sector of Dallas,” Burchfield said. Until 2015, Burchfield was a City of Dallas employee, working in economic development, focused on recruiting aviation business. He said no private developers stepped forward to invest in DEA, so as a private developer himself now, Burchfield said he is doing it himself. “This project will be the largest capital investment at Dallas Executive Airport since this airport has existed,” Burchfield said. He proposes a $15.9 million aircraft maintenance facility with office space on the vacant west side of DEA. The city proposes $7.6 million in aviation money to be used for taxiway improvement and 30% of the building construction cost. Burchfield would receive a lease of 39 years and 11 months, with three renewal options of ten years each. Burchfield said he has a deal with a Love Field tenant that plans to move 40 employees to the new DEA facility and hire 25 more for expansion. “This is a dream. But it’s also a dream that helps the City of Dallas, and helps the taxpayers,” said Dallas City Council Member Tennell Atkins. Before he was elected to the City Council, Atkins was once the lead leaseholder at the general aviation airport once known as Red Bird Airport. He has pushed for this kind of private investment for many years and supported it Monday as Chairman of the Dallas City Council Economic Development Committee. Atkins said the project could be a catalyst for more development at DEA and in the neighborhood around it. The plan was endorsed by Atkins’ Committee with a 'no' vote from City Councilman Scott Griggs. “There’s a number of red flags,” Griggs said. He argued that the lease is too long, the city investment is too large and the deal should have been put out for competitive bids with a request for proposals, especially since Burchfield is a recent city employee who might have friends at City Hall. Burchfield said the initial lease term of more than 39 years was necessary to amortize the private investment. A city briefing said the return on aviation money could be more than $5.6 billion in revenue during the initial term of the lease. Dallas Executive Airport has more land area than Dallas Love Field which has become very busy with commercial air traffic since the Wright Amendment was lifted and long haul flights allowed. 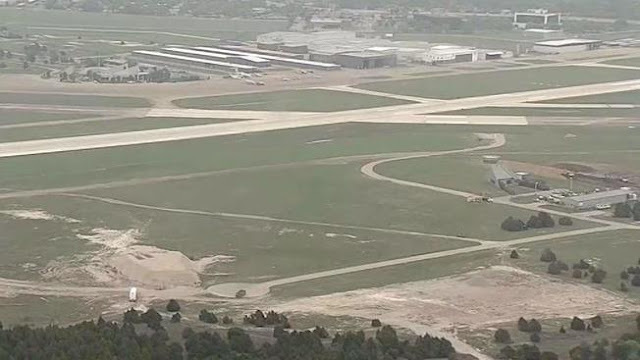 Dallas officials also plan a small plane landing fee at Love Field, hoping to shift more general aviation traffic and aircraft maintenance to DEA. Burchfield said he supports the plan on the table when asked about the option of competitive bids. “The project has been submitted to the City of Dallas and we look forward to presenting the project on April 11th,” he said. The full Dallas City Council is scheduled to vote on the deal next week.